The OISE University of Toronto TEFL is an online TEFL certification course designed by a top-20 university worldwide. The OISE TEFL curriculum was created by award-winning education faculty at the Ontario Institute for Studies in Education (OISE) at the University of Toronto. The course is administered by international teacher career site, Teach Away. The OISE TEFL course from OISE at the University of Toronto prepares first-time teachers and experienced educators to teach English as a foreign language and secure teaching jobs abroad. The course can be accessed anywhere, at any time. The course allows users to move through the online curriculum at their own pace. Students can choose to enrol in the 100-hour, 120-hour or more intensive 150-hour course options, and customize their training with units of specialization. OISE University of Toronto TEFL has received 4 student reviews and has an overall rating of 5 out of 5 stars based on the following criteria. I have just recently completed the TEFL online course with the University of Toronto and I must say that it was an impressive course. You can go at your own pace and finish the journals as you like. Furthermore, the modules and lesson are very informative and through. There are also teaching aids that you can download for your own use. I found these to be very helpful. Moreover, there is support readily available should you face any technical or course related difficulty. I also do not come from a teaching background but at my first interview, the interviewer was very impressed with my knowledge and I may have secured a place for the near future. Overall, I would take another course online with them and I would also recommend this course. I have taken this course between June and August 2013 and then two modules which were Teaching English for Young Learners and Business English. 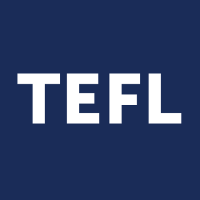 In a modern environment and completely on-line delivery this course taught me everything I need to have the confidence to apply for a TEFL teaching job. The course has a lot of video and audio that add more to the information and advice from the experts. I think that this course fully covers the theoretical and practical aspects that you might need to know to be a successful teacher. I highly recommend this class especially that it is backed by Teach Away’s support for you to find your dream teaching job. I completed the course this past May and it was great. The content was insightful and thorough, and the best thing was the ease of access. Having a full time job, I mostly logged-in on my way to and from work and in the evenings. I completed the course in 2.5 months time without much stress. My background isn’t in teaching, so I was hoping that having this certification would open up more doors for me to teach and travel overseas. The people at Teach Away have been in touch since to help me with job search and it seems like I might be able to secure a position for next school year! All in all, great course! Would highly recommend. I enrolled for TEFL Online through the University of Toronto not long after graduating as I was looking for a TEFL certification to help me get a job abroad. The course was great, full of interesting information and advice on how to be a better teacher. You can work at your own pace which was good as I was looking to get through the course as quickly as I could and start applying for jobs. Although challenging, I found myself getting through the modules at a good pace. After I finished the TEFL course, I am delighted to say that I had my consultation with Teach Away and I have managed to secure myself an ESL teaching position in Chile…I can’t wait. All in all, a great experience and I would highly recommend this course. I have completed my course at OISE University of Toronto TEFL. Please do not submit a review until you have completed all modules, tests, and other course components, or are no longer actively registered at OISE University of Toronto TEFL. I have never been employed by OISE University of Toronto TEFL. Current or former employees of OISE University of Toronto TEFL, even if the employee was previously a student at OISE University of Toronto TEFL, may not submit a review. Write at least a few sentences about your experience with OISE University of Toronto TEFL. Reviews containing only generic comments will not be published. Please submit your review from your home, workplace, or other off-campus location. Reviews submitted from the campus of OISE University of Toronto TEFL will not be approved.